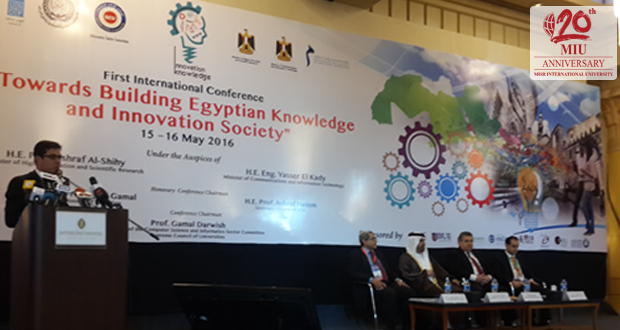 Misr International University proudly partnered in sponsoring the first international conference entitled “Towards Building Egyptian Knowledge and Innovation Society” on May 15-16. The conference was part of MIU’s ongoing efforts to contribute to Egyptian society and provided suitable vision strategies and methodologies for building the Egyptian knowledge and innovation society. The conference welcomed DR Ibrahim, Dr. Ayman Nabil and Dr. Ashraf Abdel Raouf who represented the MIU Faculty of Computer Science.